For the past several years, the Aegis/Drake family of companies (“Drake”) has focused its acquisition strategy exclusively on financially and operationally troubled properties in good demographic areas, with potential for business improvement, but which are underperforming for reasons such as poor cost controls, lack of liquidity or operational mismanagement. 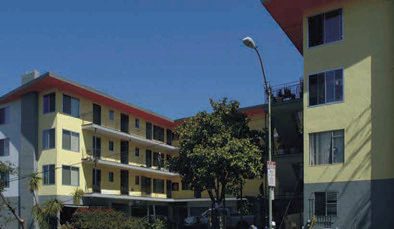 Drake and its proven team of architects, engineers, contractors, and project managers have been successful in substantially increasing the value of Drake’s properties by repositioning them in the market: changing the appearance of the buildings, making major but highly cost efficient improvements, installing and training new site management, improving the overall quality of the tenancies and increasing income very substantially. This same approach develops and protects the building’s revenue in weaker markets. Management believes that there are unusual opportunities available in the market today because of the problems in the national financing markets, as well as the more usual potential for improvement of poorly operated buildings. In order to take advantage of these opportunities and achieve economies of scale in future projects, the company seeks to bring its projects additional equity and debt investment from larger scale investors such as endowments and pension funds. These types of investors typically require that the sponsor of the project, the Company, invest between 10% and 30% of the equity required for the project, so as to assure the investor of the sponsor’s continued concern for and attention to the investment.